The 750 is installed in our Kitchen with a baffle boiler to heat domestic water and three radiators. If I was truthful the only reason we fitted the boiler was that we were not going to run a central heating system when we did the renovation of the old derelict 1830 "Grand Design" style property. 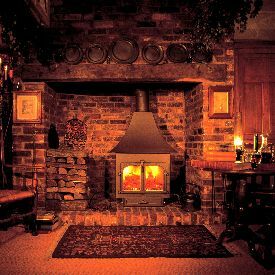 Fuel consumption, we have known for a years, is considerably higher when you are asking a stove to do work behind the scenes. We were expecting a bit more fuel to be used but nothing like what it actually consumes. It is easy to go through a cubic meter each week of good quality hard wood logs. We have not burnt smokeless coal on the stoves in the house, electing to concentrate on a carbon neutral wood fuel, but I dare say the coal use would be pretty high also. It has to be understood that you get nothing for nothing in this world, and hot water with radiators off a stove is no different. Get ready to carry lots of fuel. The stoves are able to burn different types of fuel, although they have only been tested with wood. We tend to use Ash and Beech which has been processed and dried in potato boxes in our poly tunnel for about a year, which is a brilliant way to ensure your fuel is ready to burn. As long as the wood is seasoned and the core moisture level, the sap in wood, is less than 20% moisture you should be ready for trouble free use. The double glazed window on Clearview stoves ensure the inner glass is insulated from the room temperatures which gives an unsurpassed view of the fire...hence their name. A word of warning however..... a boiler in the stove reduces combustion gas temperatures in the firebox and can cause some sooting of the glass even on a Clearview. Be sure to burn the stove hot at times to discharge combustion products up through the flue. Ideally a stove should be run between 350-500 degrees F for optimum burn. To sum up, the 750 is the biggest of the Clearview range. All Clearview boilers are removable so they can be repaired or replaced without the need to replace the entire stove, which is a credit to the manufacturer, considering it would be all to easy to weld the stove into the body knowing that if the boiler failed, the stoves sales would increase as the old one would be off to the scrap yard . 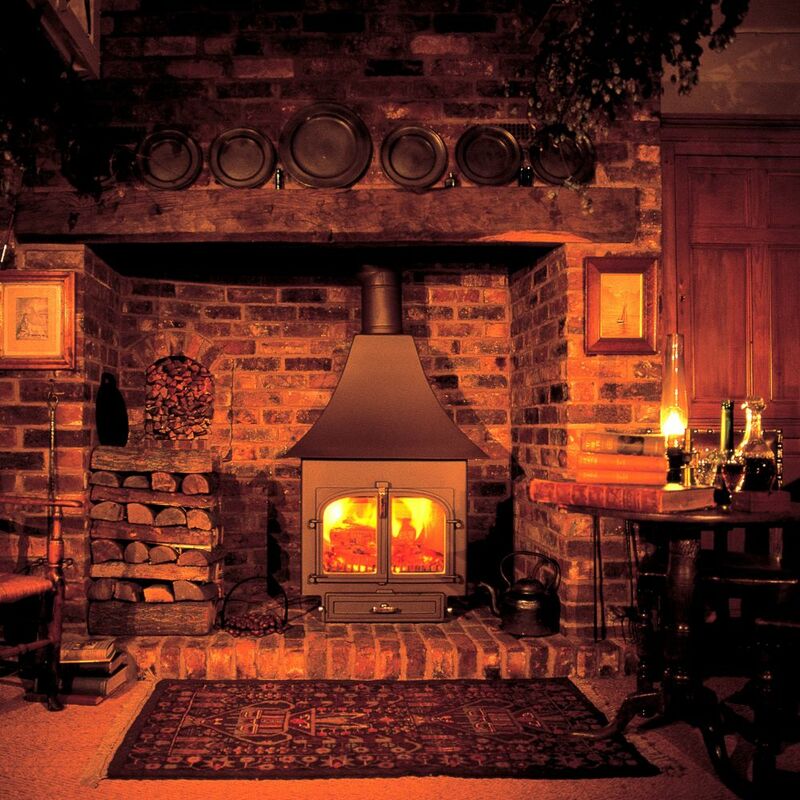 Stove expert replied: Highly rated and giving both room heat and a heating system this is a goof solid review. Fuel is the key to getting the best out of any stove regardless of the design and materials used. In depth comments appreciated.